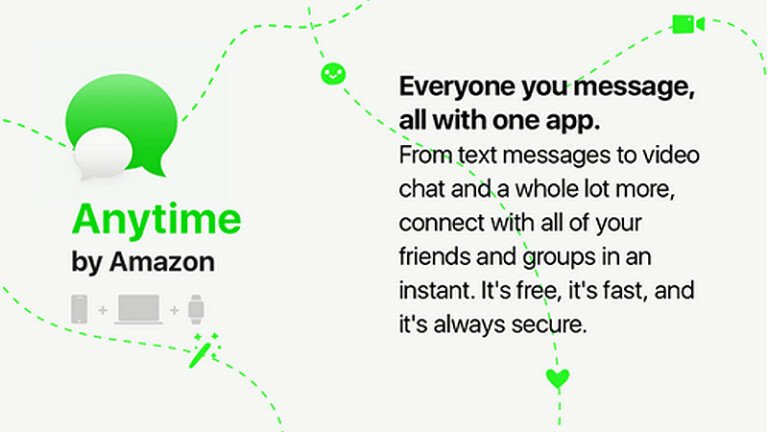 "Anytime" is Amazon's entry in the messaging app business? 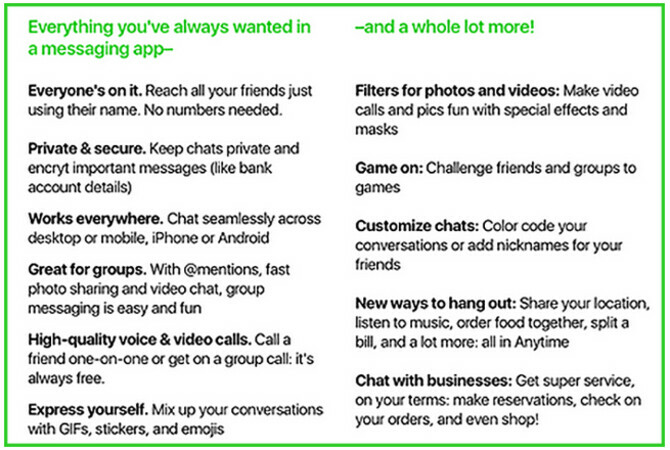 Is Amazon about to launch a messaging app called Anytime? With messaging apps red hot, Amazon has decided to throw its two cents into the fire according to Amazon focused AFTV News. According to one customer who has taken a survey from Amazon, it appears as though the app is pretty much completed and is called "Anytime by Amazon." The messaging app will include versions for iOS, Android and the desktop, and will feature text messages and high quality talk and video chat. A leaked promotional teaser for the service indicates that it will also feature picture sharing. The messages will include the use of GIFs, stickers and emoji. Like Snapchat and other messaging apps, there will be filters and masks offered, and users will be able to share their location, order food together and even split the check using Anytime. Amazon also sees the service as a way for shoppers to interact with companies. Amazon says that with Anytime, users will be able to get super service on their terms, make reservations, check on orders, and shop. Important information, like bank account numbers, will be encrypted. And Amazon hints that users will be able to reach their friends simply by using their first names. Amazon has recently added calling and messaging features to its Alexa assistant and some of the capabilities used on the Alexa app could be found on Anytime. Right now though, this is all speculation as we await an official announcement from Amazon. Sounds good. Amazon has been building its services as of late. This will most likely come preinstalled on Amazon's next attempt at smartphones, and will most likely be made available to its Alexa-enabled smart speakers and Fire Tablets through an update. This is basically Facebook Messenger. Another wolf in sheep's clothing.